Provide comfort for the family of Linda Cross with a meaningful gesture of sympathy. To send flowers in memory of Linda Octavia "Faye" Cross, please visit our Heartfelt Sympathies Store. 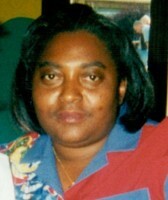 Provide comfort for the family of Linda Octavia "Faye" Cross by sending flowers. My sincere condolences to the family of Linda Octavia "Faye" Cross, May God give you the strength and the comfort you need during this time. Please allow the God's word at (Isaiah 61:2) to bring you and your family some comfort.